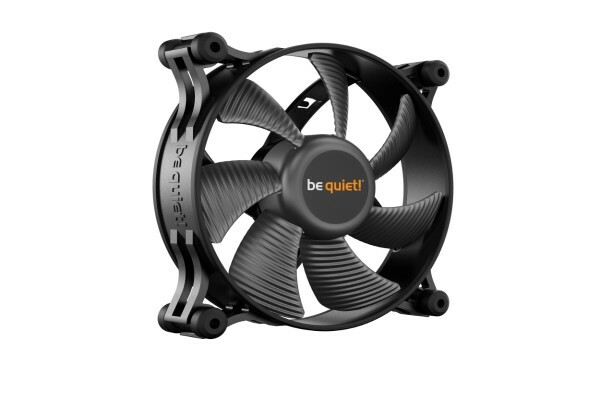 The fan blades of the Shadow Wings 2 120 are optimized for maximum airflow and ensure whisper-quiet operation with solid cooling. Even at the maximum speed of 1.100 rpm, operation is max. 15.7 dB(A). This product is the perfect choice for anyone who attaches great importance to silence. The anti-vibration mountings attached to all four corners minimize the transmission of vibrations to the PC case. In addition, a rubberized frame provides support to ensure that vibrations are reduced to an absolute minimum. With a life of up to 80,000 hours ensured by the rifle bearing, the Shadow Wings 2 120mm fan stands for particularly reliable operation. The Shadow Wings 2 anti-vibration installation system makes mounting the fan child's play. The push pins enable a safe and quick installation without screws.